Catherine Warnecke plays the organ at St. Wenceslaus Church in Milladore. She and her mother, Ludmilla Benish, have played the organ at Mass for a combined total of 100 years. Liturgical music has been a well-known part of the Catholic Mass for 2,000 years. But the continuation of sacred music is not a process of simply copying history. Instead, it is one of preserving the past and defining the future. This is a great and important duty, entrusted to pastors and choirs throughout the world. Carrying on this tradition is vital to assuring liturgical music remains a part of worship for generations to come. Catherine Warnecke is one of the many people within the Diocese of La Crosse who are doing their part to make this happen. Warnecke shares in a 100-year family history of playing the organ at St. Wenceslaus Parish in Milladore. Catherine Warnecke’s faith and dedication extend well beyond playing the church organ for 35 years. 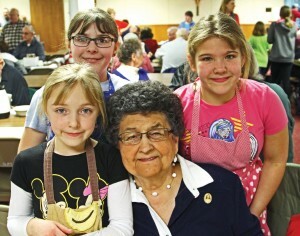 She’s surrounded by Violet, Constance and Abigail Rusch, servers at the parish soup supper. 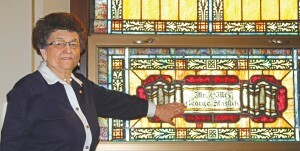 Ludmilla Benish played the organ at St. Wenceslaus Parish for 65 years. Warnecke’s mother, Ludmilla Benish, began playing the organ at the parish in 1914 when she was 12 years old. Benish could barely reach the foot pedals when she first played for her sister’s wedding. She continued to play at Mass for 65 years — until her death in 1979. Three years later, Warnecke picked up where her mother left off — and hasn’t stopped playing for 35 years.With a strong Bohemian heritage, Benish was taught music by her parents. They carried on the tradition after emigrating from Bohemia in the late 1800s. Warnecke credits her grandparents’ and mother’s strong faith and love for music as her inspiration to continue to share her talents with others. Warnecke, a fourth-generation Bohemian-American, remembers learning many of the folk songs from her grandparents, Steve and Katherine Benish, when she was a child. They encouraged her to sing and play musical instruments, especially the accordion and keyboard. The entire family was musical. All her aunts and uncles played instruments and/or sang. Choir members play an indispensable role in every parish. Their commitment and love of music is what makes the liturgy special for all parishioners. Warnecke’s journey in faith includes her copyrighted arrangement of the Czech Polka Mass. 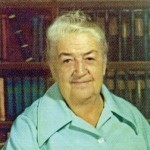 Her composition is one of the few written since Father Frank Perkovich of Minnesota made the Polka Mass popular with the Slovenian style of music in the 1980s. The Czech (Bohemian) Folk Tune Mass is in honor of St. Wenceslaus, the patron saint of the parish in Milladore as well as the patron saint of the Czech Republic. The Mass parts are hymns and musical selections of Bohemian folk tunes, which were written in Czechoslovakia more than 100 years ago and brought to America by the early Bohemian immigrants. These immigrants founded St. Wenceslaus Parish in Milladore in 1883. 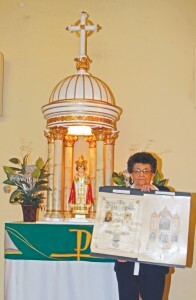 Catherine Warnecke stands in front of the Child of Prague statue and holds the marriage certificates of her grandparents, Steve and Katherine Benish. Her grandparents played a vital role in her faith and love of music. 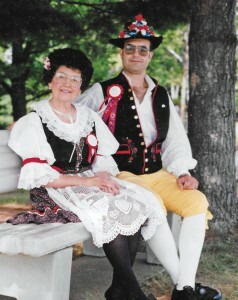 Catherine Warnecke and her son, Larry Benish, dressed in authentic Bohemian clothing for a performance of the Milladore Czech Singers and Dancers. Besides their Catholic faith, they brought with them their love of music and a great desire to nurture the treasured cultural traditions in their families. They are alive today because the Bohemian musical traditions have been preserved in their memory. The Polka Mass took Warnecke 2-1/2 years to compose and arrange. After permission was granted from the International Commission on English in the Liturgy (ICEL), the Polka Mass was dedicated on July 12, 1992. A band was needed to accompany the Polka Mass, so the Milladore Czech Singers and Dancers were formed. The group consists of members of Czech descent, as well as other ethnic groups. They sing Czech folk songs in the native language and dance the traditional Czech folk dances. Catherine Warnecke stands next to a stained-glass window at St. Wenceslaus Church in Milladore. The church was built in 1883 by Bohemian immigrants. 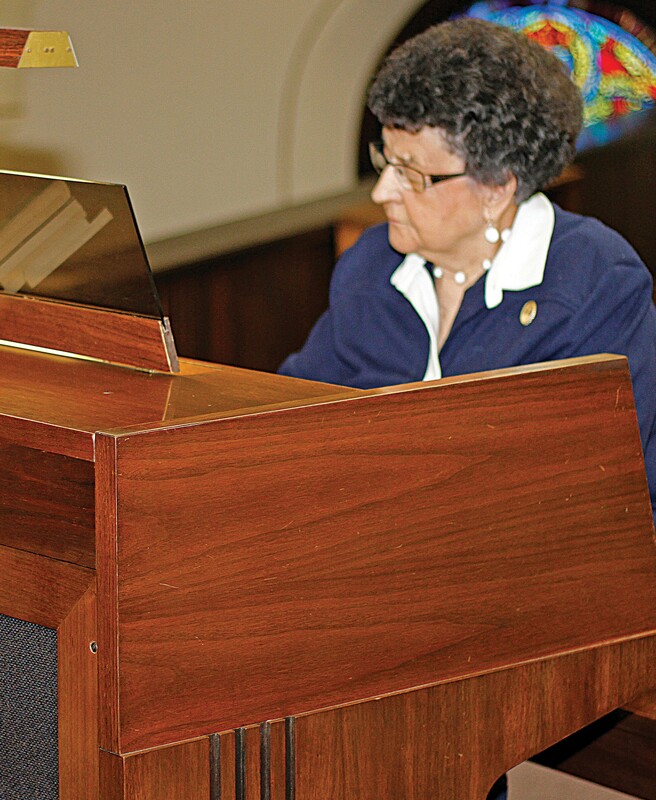 Her faith and dedication extend well beyond playing the organ at St. Wenceslaus Church. Warnecke, an English and social studies teacher for 34 years, also sang in her mother’s choir, taught CCD and distributed the Eucharist to patients and played the organ at St. Joseph’s Hospital in Marshfield for 30 years. She also served on then-Bishop Raymond Burke’s Sacred Worship Commission for six years. She continues to lead the rosary before Mass and help the Church however needed.